Introduction: The Heretic Who Survived? This introductory chapter provides an overview of the rationale and structure of the study. Leavis was once a major and controversial literary and cultural presence of the twentieth century but his relevance to contemporary mass higher education is seldom fully appreciated. 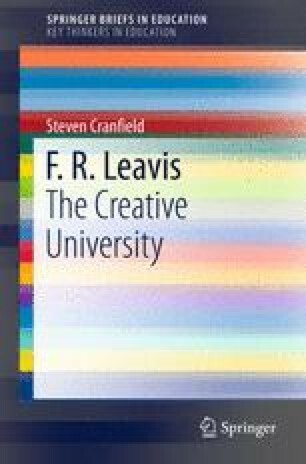 Far from being a simple representative of a by-now superseded elite educational system, Leavis has the potential to influence considerably our thinking about the values, purposes and premises of ‘the creative university’.